Observation - Ganoderma 3 - UK and Ireland. 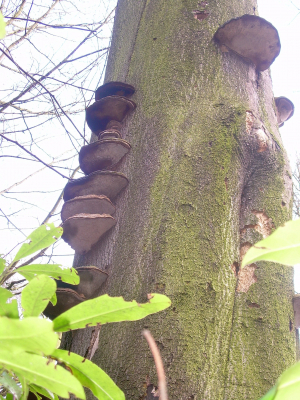 Description: Growing in tiers, above head-height, on broken tree trunk in LNR woodland. Growing in tiers, above head-height, on broken tree trunk in LNR woodland.